Azura II is conveniently located at George Wainbourn Park, steps from the seawall, transit & shopping. 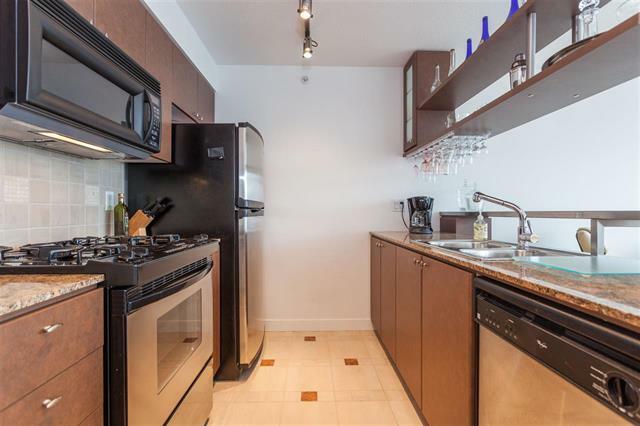 This spacious 1 bedroom and den features an open kitchen with gas stove, ideal for the hobby chef. The living room and dining area offer views of the park and towards English Bay. The den is large enough to be a great home office and has ample of natural light. Building amenities are second to none, with access to the indoor pool, hot tub, sauna, gym, media room and business centre. 1 parking stall included.